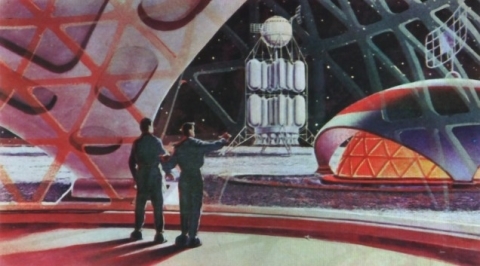 Soviet artists had been toiling for years on a creative, collective future vision by the time David Bowie got around to launching Major Tom into outer space. As Vincze Miklós reports on io9, their efforts extended the hope of a "worker's Utopia on Earth" to destinations in the solar system. 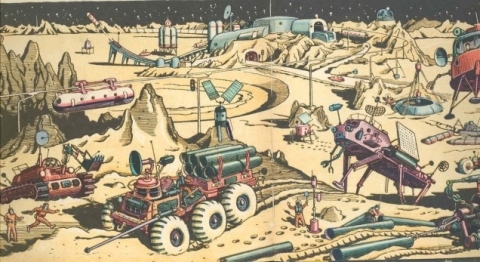 In 1965, filmmaker Pavel Klushantsev's Stantsiia "Luna" (Station Moon) treated children to a highly satisfying vision of the lunar surface as a bustling construction site. Workers, hell. It's not hard to imagine Andrei Sokolov, whose paintings were exhibited aboard the Mir station, producing high quality renderings for Mad Men's Don Draper to show high-rolling Martian clients. And pop science mag Tekhnika Molodezhi ("Technology for the Youth") promoted the space race with pages of intriguing four-color images. 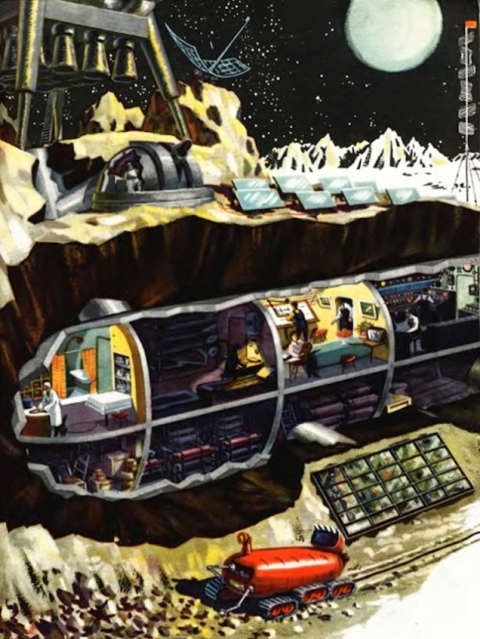 The dollhouse-like cross section (above) of a communal residence below the moon's crust is practically screaming Wes Anderson's name. 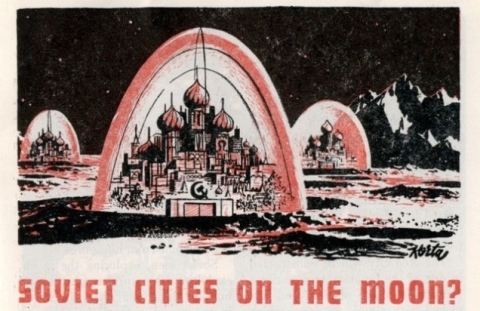 Those who've never had much stomach for the Jetsons' primitive aesthetic might find this lush Soviet vision much easier to swallow. More images can be found at io9.